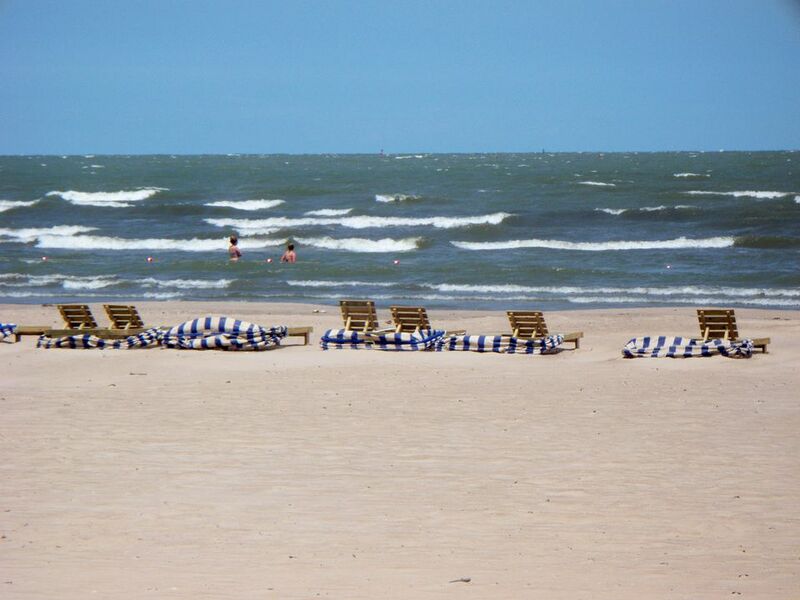 One of the most delightful parts of summer in Toledo and Northwest Ohio is the number of sandy beaches that dot the Lake Erie shore, from Monroe, Mich., to Sandusky. Facilities vary at each location. Located just east of Toledo, the 1,850-acre Maumee Bay State Park features a Lake Erie beach and a beach on the park's inland lake. Other facilities include a marina, ten miles of hiking trails, cottages, a lodge overlooking Lake Erie, beach concessions and restrooms, and an 18-hole golf course. You can also enjoy the interpretive boardwalk trail to learn more about the flora and fauna in the area. Located at Marblehead, just east of Sandusky, East Harbor State Park features one of the nicest beaches on Lake Erie. The 1,500-foot stretch of white sand draws visitors from all over the state and beyond. Note that flotation devices aren't permitted on this beach, so it's better for older children who are comfortable with swimming. Facilities include a marina, picnic tables, a concession stand, camping, paid Wi-Fi, and hiking trails. The 677-acre Kelleys Island State Park, located in the heart of Ohio's Lake Erie islands, offers a 100-foot public white sand beach. The beach here is more friendly to sunbathers and swimmers than those on nearby South Bass Island, which tend to be rocky. Other facilities at the park include camping and yurt rentals, boat rentals, fishing, and picnic facilities. The park has more than six miles of hiking trails, many of which offer excellent views of the water. Located within the Camp Perry military reservation just outside of Port Clinton, the public beach here is part of the Camp Perry Lodging and Conference Center complex. The stretch of white sand is open from dusk to dawn. Facilities include restrooms and picnic tables. There are also cottages and condos just off the beach that are available for short-term rentals, with discounts given to members of the armed services. This small park sits at the tip of the Catawba Peninsula, near Marblehead and the ferry terminal. The beach is open during daylight hours, but there is no lifeguard. Even though the park itself is just 10 acres, it has ample facilities, including restrooms and picnic tables. It's a popular launch point for Lake Erie boat access. Cedar Point isn't all about roller coasters. The east side of the Cedar Point peninsula features one of the best beaches on Lake Erie. The well-manicured stretch of white sand features resort hotels, a beach volleyball court, a beachside TGI Fridays restaurant... all just steps away from the rides and thrills of the amusement park. Located about 10 miles north of the Ohio-Michigan state line, along the western Lake Erie shore, Luna Pier features nearly five miles of continuous shoreline with a public beach, hiking trails, a bathhouse, a marina, bike paths, and picnic facilities. Located about eight miles across the Ohio-Michigan state line one mile from I-75, the 1,300-acre Sterling State Park is the only state park situated on Lake Erie. It features more than a mile of sandy beach as well as seven miles of hiking trails, a boat launch, three fishing piers, and lakefront campsites. Located in Huron about one hour's drive east of Cleveland, three-acre Lakefront Park offers 615-feet of Lake Erie shoreline and beach as well as picnic tables, a playground, and restroom facilities. Unlike some other beaches, it's adjacent to a leafy grove of trees, providing ample shade.